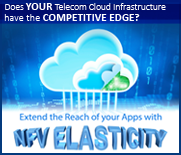 With the challenges of growing data-rates and over-the-top competition, NFV and SDN offer the potential of massive infrastructure economies to Communication Service Providers (CSPs) through the use of a reduced number of building blocks based on open source software and white-box hardware. They also give CSPs the agility of a cloud provider with platforms that enable the rapid creation of new revenue-generating services. This has triggered the current surge in telecom central office and mobile edge redesign initiatives which involve the virtualization of vast numbers of proprietary hardware platforms onto standard, commercial-off-the-shelf x86-based servers. Communication Service Providers around the globe, either independently or through projects such Central Office Re-architected as a Datacenter (CORD), are seizing the opportunity brought about by NFV to transform over 300 types of specialized CapEx and OpEx-consuming equipment into a fabric of white-box servers, switches, storage, and I/O running open source software. Today however, downtown central offices operate using 48 VDC NEBS-certified equipment that complies with strict specifications for fire suppression, thermal margin testing, vibration resistance in case of earthquakes, acoustic limits, and RF emission limits amongst many more. Space is often restricted in central offices, mandating the use of short depth servers under 20” deep. Servers also need to stay ahead of business and mission critical demands from customers and CSPs for acceptable levels of availability, performance and energy efficiency. Advantech’s high-performance SKY servers have been designed in carrier-grade as well as commercial-grade versions, providing CSPs with a new generation of servers based on the latest Intel® Xeon® processors that offer the performance and reliability required for deployment in central office environments to run low latency compute, networking and signaling workloads along with accelerated media processing. The Advantech SKY-8100 and 8200 servers are designed for high density PCIe card payloads where maximum port count is needed or the integration of industry leading offload and acceleration technology is essential. They are designed from the ground up to provide greater robustness and meet more stringent NEBS Level 3 environmental conditions while complying with reduced rack depths. 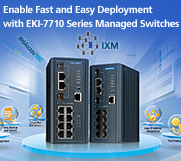 Key features such as hot swappable redundant power supplies and fans, advanced carrier grade remote management, and redundant BIOS or firmware images for fail safe updates all bring increased reliability and serviceability advantages to CSPs. The SKY-8100 carrier-grade server is a 1U high, 20” deep, NEBS-compliant server based on the Intel® Xeon® Processor D-1500 product family and offers a single processor option for CSPs looking for the best price/performance ratio with balanced compute and I/O expandability. The server has been designed to support two full-height, full-length PCIe cards at high TDP, fitting applications that need both server-class performance and a sophisticated PCIe subsystem. The SKY-8200 carrier-grade server is a NEBS-compliant server in a flexible and compact 2U package with a depth of just 20” making it ideal for deployment in telecom and carrier cloud networks. 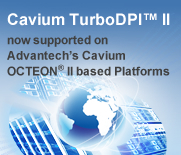 The SKY-8200 has been designed to maximize processing performance with two Intel® Xeon® processor E5-2600 v4 CPUs, high-density, high throughput PCIe I/O and offload on adapters from Advantech and qualified suppliers. It targets CSPs and equipment manufacturers who need flexible and reliable carrier-grade computer systems for maximum up-time with best-in-class combination of compute, networking and offload capabilities. For a full product range overview and detailed system specifications please visit our dedicated web page. Reliability and manageability: SKY-8100 and SKY-8200 are designed for NEBS level 3 carrier grade environments, combining cutting-edge performance with ruggedness and reliability. Lower TCO: Long life-cycle support is an essential guarantee for CSPs. Advantech’s long term availability policy satisfies the needs and mitigates the end-of-life risks and costs inherent in the commodity IT server market. Our global technical and RMA services offer full revision control, repair and support throughout the entire product life-cycle. Note: The SKY-8100 and the SKY-8200 were formerly known as the CGS-3010 and the CGS-6010 respectively.